BURBANK, Calif., March 20 /PRNewswire-FirstCall/ — AT&T* today presented a $300,000 check to PADRES Contra El Cancer (PADRES) national spokeswoman Eva Longoria Parker, signifying a $1 million total donation to benefit the organization. The money was raised during AT&T’s fourth annual campaign to benefit PADRES, a nonprofit organization committed to improving the quality of life for Latino children with cancer and their families. This year, for every LG phone purchased between November 22 and January 2 in AT&T’s more than 130 retail stores in the Greater Los Angeles area, AT&T donated $20 to PADRES. Customers who purchased LG phones also received a free LOUVER by Louis Verdad designer cap. For more information about PADRES, visit http://www.iamhope.org/. PADRES Contra El Cancer (PADRES) is a non-profit organization committed to improving the quality of life for Latino children with cancer and their families. PADRES programs, activities and services, while primarily oriented to the Latino community, serve childhood cancer patients from all races and ethnic origins. No family is turned away. Celebrating more than 20 years of service, PADRES brings together children, families, healthcare professionals and community leaders to promote a comprehensive understanding of childhood cancer and other blood disorders, as well as effective methods for treatment. Since March 2005, actress Eva Longoria Parker has served as the organization’s national spokesperson. To learn more about PADRES, visit http://iamhope.org/. AT&T Inc. (NYSE:T) is a premier communications holding company. Its subsidiaries and affiliates – AT&T operating companies – are the providers of AT&T services in the United States and around the world. With a powerful array of network resources that includes the nation’s fastest 3G network, AT&T is a leading provider of wireless, Wi-Fi, high speed Internet and voice services. AT&T offers the best wireless coverage worldwide, offering the most wireless phones that work in the most countries. It also offers advanced TV services under the AT&T U-verse(SM) and AT&T | DIRECTV(SM) brands. The company’s suite of IP-based business communications services is one of the most advanced in the world. In domestic markets, AT&T’s Yellow Pages and YELLOWPAGES.COM organizations are known for their leadership in directory publishing and advertising sales. In 2009, AT&T again ranked No. 1 in the telecommunications industry on FORTUNE(R) magazine’s list of the World’s Most Admired Companies. Additional information about AT&T Inc. and the products and services provided by AT&T subsidiaries and affiliates is available at http://www.att.com/. 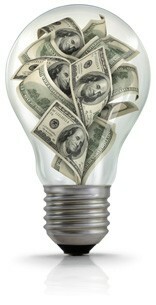 (C) 2010 AT&T Intellectual Property. All rights reserved. 3G service not available in all areas. AT&T, the AT&T logo and all other marks contained herein are trademarks of AT&T Intellectual Property and/or AT&T affiliated companies. All other marks contained herein are the property of their respective owners. mobile, +1-310-561-0621, drapoport@attnews.us, for AT&T Inc.
With The John Frieda(R) Sheer Blonde(R) Entourage Spotlight Contest Win the Chance to Sing On Stage with Natasha Bedingfield. NEW YORK, March 19 /PRNewswire/ — The John Frieda® team is out to prove that blondes really do have more fun with the Sheer Blonde® Entourage, a series of events and perks available for blondes. The blondes-only VIP program kicked off yesterday in New York City with a private performance by blonde icon Natasha Bedingfield, and continues across the country with events open exclusively to blondes. The John Frieda® team is now calling all blondes to audition to win the chance to perform on stage with Natasha at a concert on her tour. Accepting entries until the end of April, blondes will have the chance to submit their audition videos to YouTube and Natasha will judge submissions and help choose the winner, who will receive a makeover courtesy of John Frieda® and renowned stylist Harry Josh before performing live with Natasha. For more information about all things blonde and upcoming Sheer Blonde® Entourage events in your area, log on to www.forblondesonly.com. The website is a one-stop destination for exclusive blonde rewards. annie@tractenberg.com, +1-212-929-7979, both of Tractenberg & Co.
STOCKHOLM, March 19 /PRNewswire/ — Today, Spike Jonze’s highly anticipated short film, I’m Here, is globally released on http://www.imheremovie.com. This 30-minute robot love story was premiered at the 2010 Sundance Film Festival and thereafter screened at the Berlinale. Now it is made available to viewers around the world, through a striking online cinema experience. I’m Here is a creative collaboration with ABSOLUT VODKA, acknowledging the brand’s position as a pioneering and culture-shaping brand. I’m Here is a love story about two robots living in contemporary Los Angeles. The sad-eyed robot librarian Sheldon (Andrew Garfield) leads a lonely and methodical life, until he one day meets Francesca, a creative and free-spirited female robot (played by Sienna Guillory). Robot romance develops and the story is just as beautiful as it is unpredictable. “I’m Here marks an evolution of our longstanding commitment to creativity, and I am incredibly proud to make this film available to a global online audience. Spike Jonze has made a magical short film, which takes our creative collaborations to new heights. We could have done a commercial or a print campaign, but this is so much more interesting. And much more ABSOLUT,” says Anna Malmhake, Vice President Global Marketing, at The Absolut Company. ABSOLUT has a passion for all things digital, and on http://www.imheremovie.com 5,000 viewers a day are offered an exceptional and highly realistic cinema experience on the Internet. The film is streamed in high quality and thanks to social media functionality, viewers can watch I’m Here together with their Facebook friends. 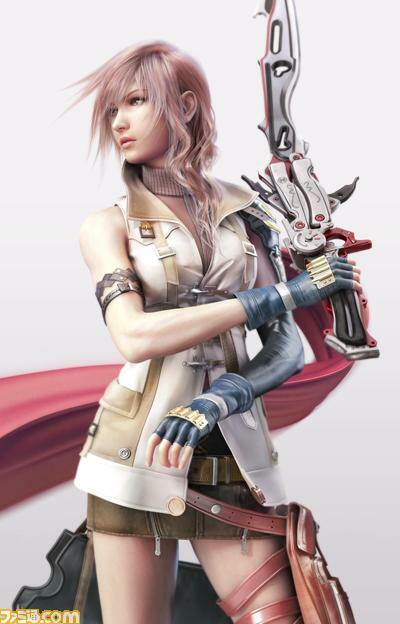 The site also offers a teaser trailer, bonus material and additional information on the director and cast. 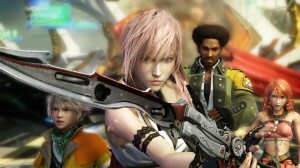 The soundtrack includes original music by Sam Spiegel and original songs by L.A.-based art musician Aska Matsumiya and other emerging musicians. Director Of Photography: Adam Kimmel, A.S.C. The collaboration with Spike Jonze was created by long-standing ad agency of record TBWA\Chiat\Day. Imheremovie.com is created by Great Works. In addition to the 30-minute film, there are also 30 and 60 second trailers, to be used online and as TV commercials globally. WHEN: Sunday, March 21, 2010, Promptly at 3:00 p.m.
Arrivals begin at 2:00 p.m.
Photo call for dragon training is at 1:30 p.m.
Press invited to “train dragon” at: 12:30 p.m.
From the studio that brought you “Shrek,” “Madagascar” and “Kung Fu Panda” comes DreamWorks’ “How to Train Your Dragon.” Set in the mythical world of burly Vikings and wild dragons, and based on the book by Cressida Cowell, the action comedy tells the story of Hiccup, a Viking teenager who doesn’t exactly fit in with his tribe’s longstanding tradition of heroic dragon slayers. 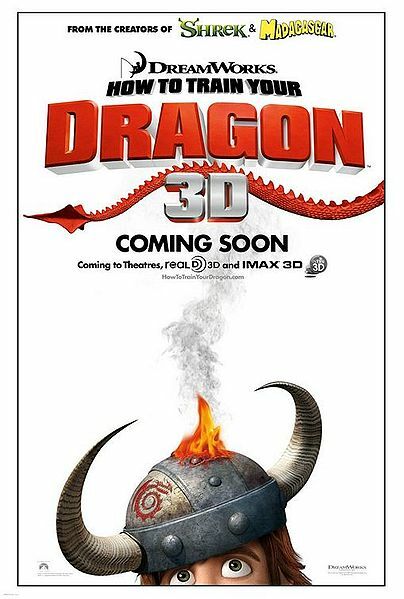 Hiccup’s world is turned upside down when he encounters a dragon that challenges him and his fellow Vikings to see the world from an entirely different point of view. This film has been rated PG for sequences of intense action and some scary images, and brief mild language. Next Up On ‘THE MO’NIQUE SHOW’…. NEW YORK, March 15 /PRNewswire/ — It’s getting hot in here! 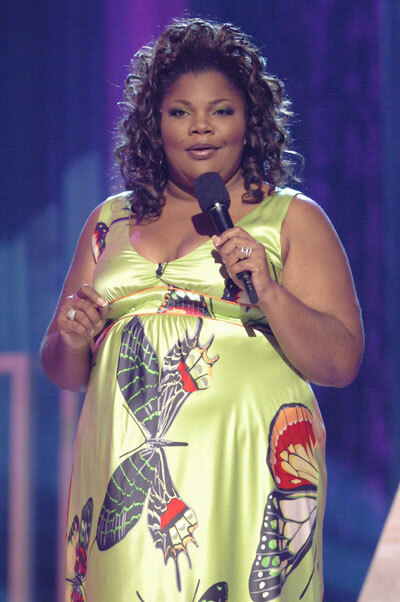 BET’s queen of late night, Mo’Nique, is cranking up the heat with another exciting week of must-see celebrity interviews and sizzling musical performances. The recent “Best Supporting Actress” Academy Award® winner is in high gear and ready to knock viewers off their seats. Check out Mo’Nique showcasing her talent and interviewing the hottest stars weeknights at 11:00 p.m.* on BET. BET Networks’ #1 late night show, THE MO’NIQUE SHOW keeps the late night party going. From A-list celebrity guests to sizzling performances by the hottest musical artists in the game, Mo’Nique delivers viewers a fun-filled hour of entertainment. Here’s a look at what’s ahead on THE MO’NIQUE SHOW. For more information about THE MO’NIQUE SHOW, please visit www.bet.com. BET Networks, a division of Viacom Inc. (NYSE:VIA) (NYSE:VIA.B) , is the nation’s leading provider of quality entertainment, music, news and public affairs television programming for the African-American audience. The primary BET channel reaches more than 98 million households and can be seen in the United States, Canada, the Caribbean, the United Kingdom and sub-Saharan Africa. BET is the dominant African-American consumer brand with a diverse group of business extensions: BET.com, a leading Internet destination for Black entertainment, music, culture, and news; CENTRIC, a 24-hour entertainment network targeting the 25- to 54-year-old African-American audience; BET Digital Networks – BET Gospel and BET Hip Hop, attractive alternatives for cutting-edge entertainment tastes; BET Home Entertainment, a collection of BET-branded offerings for the home environment including DVDs and video-on-demand; BET Event Productions, a full-scale event management and production company with festivals and live events spanning the globe; BET Mobile, which provides ringtones, games and video content for wireless devices; and BET International, which operates BET in the United Kingdom and oversees the extension of BET network programming for global distribution. Nneka is 2010’s First Breakout Artist to perform on “The Late Show with David Letterman” on February 3rd. 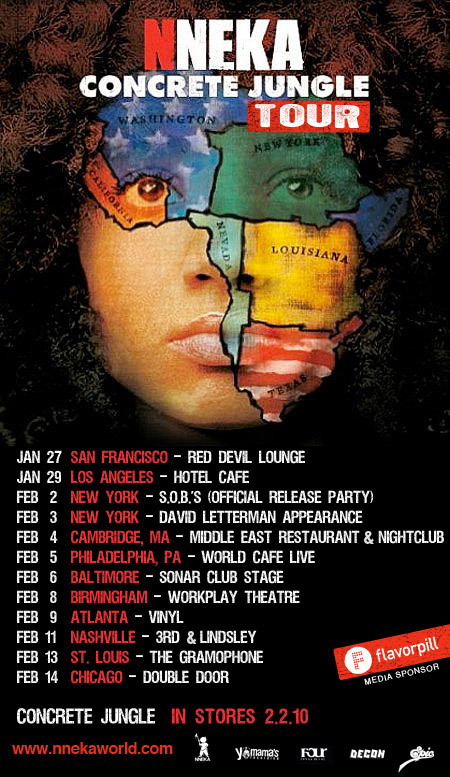 Nneka had a successful US tour from January 27th to Valentine’s Day. It was called the Concrete Jungle Tour and launched her stateside debut album that was released on February 2nd. The tour took her to 14 cities across the US, including New York, Chicago, Atlanta and Los Angeles. Nneka made her US late night television debut on “The Late Show with David Letterman,” on February 3rd. Rolling Stone selected her as an Artist to Watch in 2010, and her video for “The Uncomfortable Truth” has been getting regular spins on both BET and MTV. 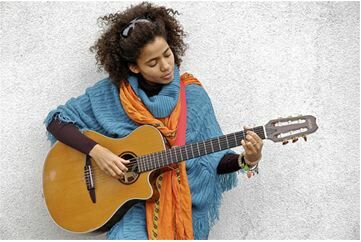 Shot throughout the course of her recent November 2009 visit to the US, the Who Is Nneka? video is an intimate look at the artist. From the critical acclaim of her recent collaborative mixtape The Madness (Onye-Ala) with DJ and producer extraordinaire J.Period to her sold-out performances with The Roots in NYC, Nneka’s certainly only just getting started. For more information or to interview Nneka, give us a ring! MOFILM is proud to announce our first competition being held at New York’s famous Tribeca Film Festival, in co-operation with Major Global brands. 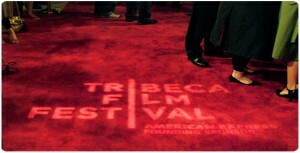 Winners who enter into our ‘Make An Ad’ competition will be flown to The Big Apple to experience a red carpet treatment at the Tribeca Film Festival. This is the latest official pix of the pretty sister of Beyonce, Solange Knowles and she is looking so romantic. Director Mahama Johnson Traoré © Monique Phoba, 2009. 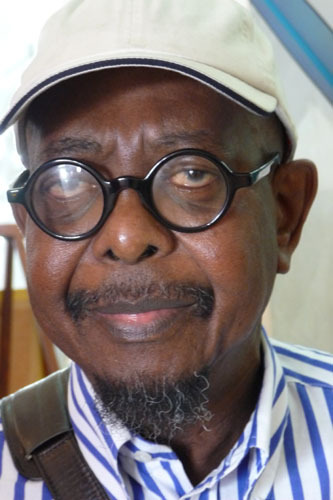 One of Africa’s foremost filmmakers, Mahama Johnson Traore of Senegal died Monday morning in Paris after a protracted illness. He was 68 years old. Johnson Traore was one of the founders of the Pan-African Cinema Festival (FESPACO) held biennially in Ouagadougou, Burkina Faso. He was also the Secretary-General of the Pan-African Federation of Film-makers in the 1970s. He was trained in France and shot his first film, “Diankha-bi” (The Maiden, in Wolof) in 1968.